If you’ve been keeping an eye on the happenings at Odin these past few months, then you’ve noticed we’ve been putting our completely unnecessary (and expensive) marketing degrees to good use and making some gutsy changes in the realm of our brand and services. Well my friend, for an established business that already has traction with a particular name and logo, you’ve got to have some pretty good reasons to change it - that’s the big deal. Night sweats and nail biting aside, we’ve given our brand a refresh and we think it’s time we clue you guys in on why and how. If you’re wondering if your brand needs some pampering, scroll down a bit and take a peek at our 10 signs that you need to rebrand or refresh your brand. 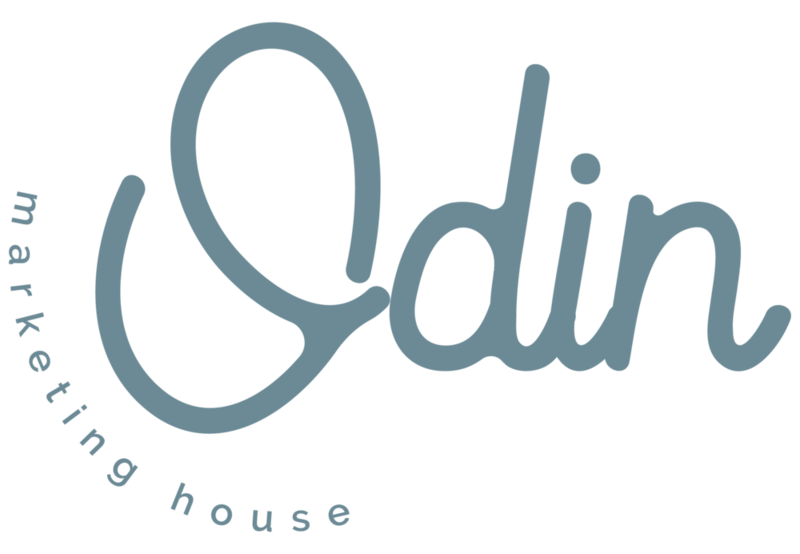 Odin Marketing House is a full service marketing and advertising agency in the heart of the Inland Empire. However, our story didn’t start there (hence the brand refresh). Way back in 2016, when our business was just a twinkle in our eyes, we were dreaming of a data and analytics consultancy agency that was accessible for local businesses. The local, usually single location businesses, are typically overlooked by the big agencies. Odin was originally birthed out of this gap in service for local businesses, and we knew we could help them. Back then our goal was to help these local businesses grow by utilizing market research, data and analytics to increase their revenue and streamline their processes Basically, we taught (still teach) clients how to scale a business organically and through paid efforts. Fast forward just six months and our new little bundle of business joy grew faster than we ever anticipated. There was obviously a need for these services on a local level, and soon enough clients were asking for additional services. The first few times this happened we pointed them in the direction of creative based agencies. But it didn’t take long for clients to express the desire to have everything their business needed in one house, under one roof. They didn’t want to be outsourced, they wanted to continue working with us - and we couldn’t say no to that. They wanted their cake and they wanted to eat it too, and we figured there’s nothing wrong with that! So we began taking on creative projects for our clients. Before we knew it we were receiving an even amount of brand development projects and research related projects. Our services naturally evolved and our aesthetic and vibe was in the midst of evolving internally. It was clear we needed to rebrand and reshape our interaction with the outside world. Either we were going to allow our story to be left untold, or we were going to take ahold of the narrative. The way we were talking about our brand and representing it visually no longer worked for us. Our customers were changing, expanding and growing in their business and life. As a result we literally doubled our services and offerings. We went from offering market research, SEO, data mining, analytics and digital advertising, to providing all of that AND brand development, web design, logo design, social media and creative development. You could say it was time for a facelift. So we decided to take the plunge. Not going to lie, it’s pretty easy working on someone else’s brand. You’re invested in it but not emotionally attached to it, and instead of it living inside your head where it’s hard to see so close up, you can see it from a birds eye view and gain perspective. Business owners typically have a hard time figuring their own brand out. It’s really difficult to take a step back when it’s your own baby, and that’s why we usually need the help of someone with an outside view to get a wider perspective. If this is sounding familiar to you, or maybe I’ve described some things that are happening in your business and you’re wondering if your brand needs some help, then consider these questions below. Has your business changed since the last time you adjusted your brand? Are there new competitors in your marketplace? Does your visual brand look and feel “off” to you? Do you struggle to identify your “unique” factor? Have your target audience and their lives changed? Are you trying to figure out how to scale a business organically? The vibe feels off: Look at the colors, the font / typography, your photos and reread your messaging. If these things don’t feel right to you anymore, then it’s time to refresh your brand. Has your brand personality changed? Is the language that you use to communicate your brand different now? Maybe you have more experience and edge, or maybe you’ve changed who you’re talking to. Our name change was pretty simple for us. We wanted to keep the name Odin, and remove the boxed in feel that “strategic solutions” had given us. It worked while we were offering those services alone, but after adding our creative services, it no longer seemed to fit. At the start of our business we originally chose the name Odin because of it’s symbolism. For those of you that don’t know, our name is a nod to the mythical Norse god, Odin. Dubbed the god of wisdom and prophecy, the legend goes that he had a thirst for wisdom and insight into life’s mysteries so much that it led him to pluck out his own eye in payment for deeper understanding. Odin is also known as the god of poetry and creativity. As you can probably tell, it brings the two sides of our business together into one whole. It continued to work for us even through the rebrand. For the remainder of the name, we are still a data driven business so we simply added a keyword phrase that would help our SEO while still representing who we are. Odin Marketing House was born. The name change was the easiest part, to be honest. What came next was a different story. We had to tackle our own brand questions that we ask our own clients, before we could finish our rebrand. Who are we? What do we stand for? What is our story and how do we share it? Once we had the answers to these questions (and more) we revamped our website, messaging and logo. We approached the process with slowly because a brand refresh is no simple thing. Your brand is the relationship between your business and the outside world. How you foster that relationship needs to be authentic to you, and you can only do that if your brand identity is developed. We talk about our “why” a lot. We ask clients what their why is and how they came to it. Your “why” matters because it’s your purpose. It's why you started you business, why you create and share and why you've stuck with it through all the ups and downs. When our business began to evolve, we outgrew our original purpose and vision. We outgrew our aesthetics, our logo, our slogan, our messaging and even our “why” in some ways. It’s about connection and community - it’s about heart. We pride ourselves in connecting with our clients in a deeper, relational way. Going beyond the surface and tapping into the heart of the business owner and their business is the only way to create something worth sharing - and it’s the only way for us to do business. In us connecting with our clients, we help connect them to their clients. Little by little, this connection spreads throughout the community. We had to figure out who we are before we could connect with others and share our creations with the world. 3 Second Description: Odin is a full service marketing house in the heart of the Inland Empire, CA. Slogan: We create things that connect people. Description of Offerings: We don’t separate analytics and creative services - we use them simultaneously to create balance in a business and brand. Who We Serve: We serve the local business, large company, the start up, the community and the non profit. We create to inspire, express a story and incite sharing and connection. Because that’s what it’s really all about - connection. In conclusion, rebranding is hard work. It takes clear thinking, vision and moxie to see it through. More than that, the process looks different for every brand. Because your brand is one of a kind, your process is going to be individual. One brand might require half the work another brand might require. Its’ not a one size fits all approach. If you’re looking to create a brand, refresh your brand or need any of the other services mentioned in this blog such as SEO or web design, give us a call or send us an email. It doesn’t cost a thing to ask questions and gather information. We’re here to help. We respect your privacy. Scouts honor. Wowza! You’re on the list!